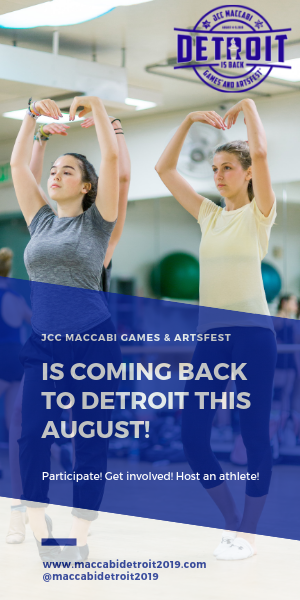 Gavi Gardin, 8, Southfield; Grace Kleinfeldt, 10, and Leo Singer, 6, both of Huntington Woods; and Leora Gonik, 5, of Southfield. 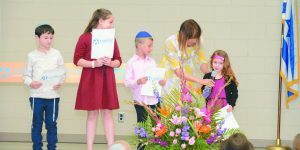 Farber Hebrew day School-Yeshivat Akiva families and friends gathered May 21 to celebrate the ribbon-cutting ceremony of the school’s new building. 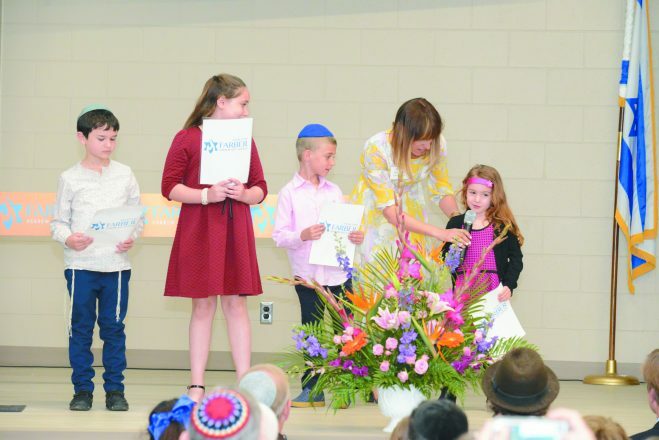 With the theme of “roots and blossoms” weaved poignantly through the afternoon, the ceremony celebrated the roots of the school’s past, while embracing the blossoms of its future. The ceremony opened with the singing of the anthems led by the Greenbaum family — children, grandchildren and great-grandchildren of one of Farber’s founding figures — Michael, Daniel, Lallie and Matthew. Parent and board member, Dr. Ora Singer of Huntington Woods, led the ceremony by welcoming guests and expressing the school’s deep appreciation for the Farber family and all the past and current supporters of the school. Emcee Dr. Ora Singer leads the program. 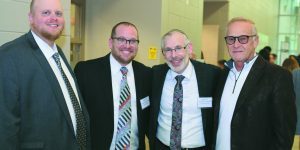 Rabbi Aaron Leib, Rabbi Noam Stein, Rabbi Scot Berman and Larry Wolfe. 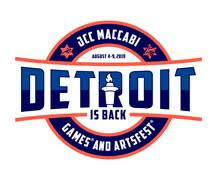 Josh Opperer, David Farber and Scott Kaufman. 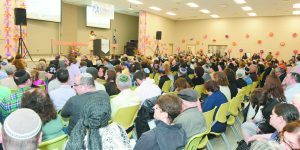 Speakers included Farber Head of School Rabbi Scot Berman, Federation CEO Scott Kaufman and Davidson Trustee Ethan Davidson. Two highlights of the program included words of gratitude from student representatives across each division and a “Roots & Blossoms” video featuring alumni and current students sharing the vitality of Farber/Akiva’s position in the community and weaving its history and mission with current and future educational advancements. 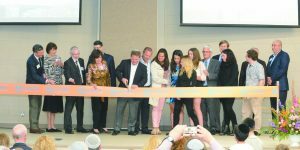 The program concluded with the ceremonial ribbon cutting led by the Farber family, along with Rabbi Harold Loss, Davidson Trustee Eli Saulson, Farber Board President Leah Ann Kleinfeldt, Rabbi Scot Berman, and Farber Unified Campaign Chairs Josh Opperer, Howard Korman and Eugene Sherizen. After the program, guests were invited to celebrate the new building by signing up for tours led by student docents and exploring the beautiful new learning space. Each stop on the tour featured a Farber instructor sharing insight on that particular space and its usage. The afternoon was noted as one of the most joyous, beautiful events in the school’s history, an ode to its strong roots and promising future in a beautiful new building.